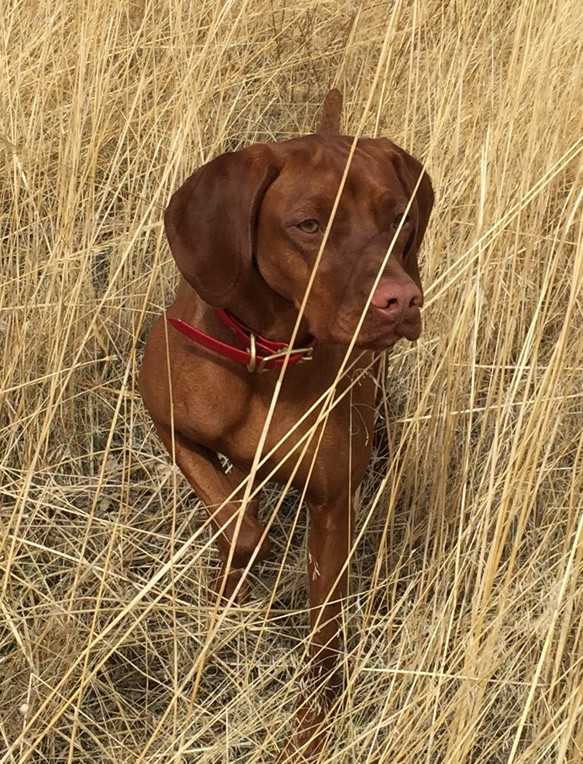 "The first calling of a Vizsla is that of a pet!" 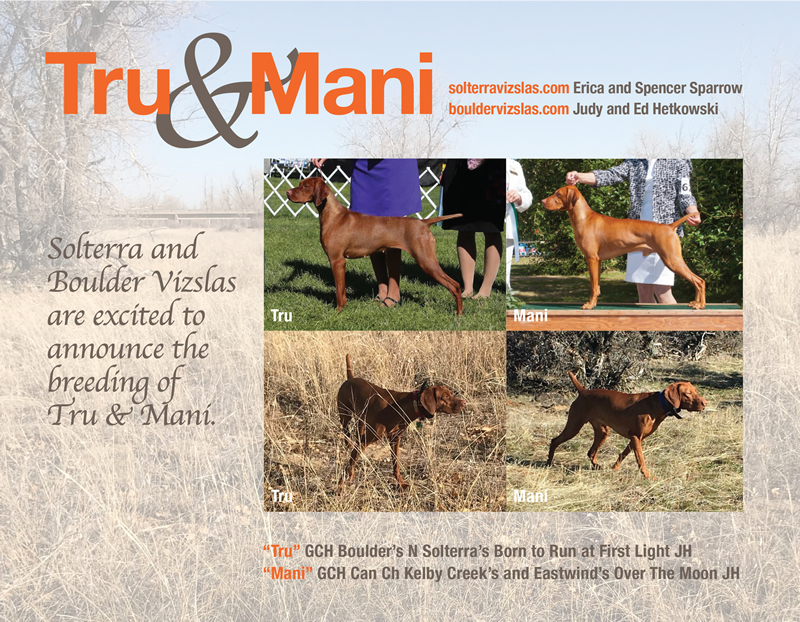 Our Tru (Cora x Mason) has been bred to Mani (Rosie x Mojo) !!! Tru is sweet, fun loving, but intense (always ready to work!) while Mani is silly, joyful, affectionate - and both are extremely biddable. With the combination of these temperaments, structure and natural ability, we are THRILLED to see the puppies they create together! In the field, Tru is quick and snappy and ready now to test at the MH level. 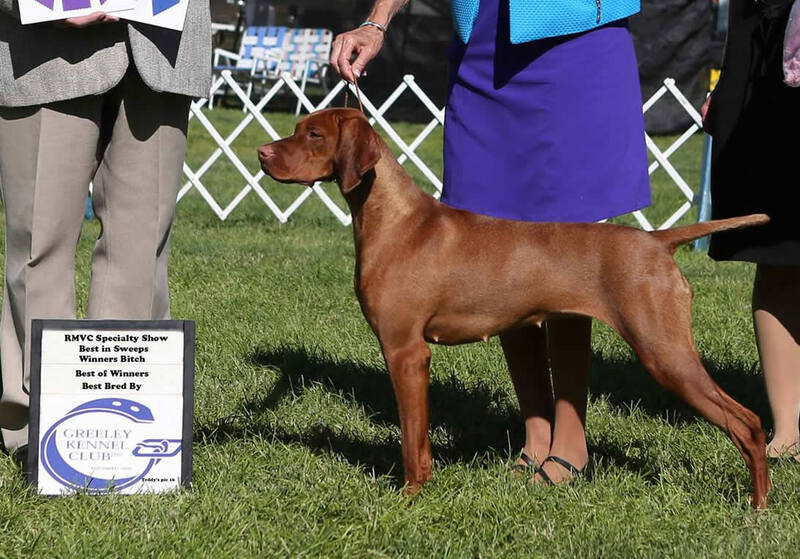 Mani loves hunting above all other venues and is proving his natural ability by quickly training as a broke dog, as he takes his training so well. Thank you Tom and Gale Shay for allowing us to bring our Tru to your Mani, fingers and paws crossed for the ultrasound in a few weeks! !